MILTON, FL November 2, 2016 - It has come to the city’s attention copies of an ethics complaint against Councilman Jimmy Messick was distributed recently to city residents. On behalf of city staff, the city is issuing a statement responding to inquiries received as a result of an anonymous mailing. The complaint being shared anonymously with city residents will be reviewed by the Commission on Ethics, and, if the commission determines there is a basis for investigation, an investigation will occur. In the meantime, because the anonymous letter is creating confusion among city residents, based on the questions received, the city would like to provide information concerning David Gary Pruitt’s complaint. 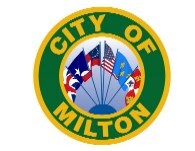 The plan to pursue Parcels 1, 6, and 8 in Downtown Milton was part of the city staff’s proposal to obtain properties consistent with the Master Plan for downtown Milton. Parcels in downtown Milton would serve the goals of the Master Plan as well as support a proposal to site the courthouse downtown. When the plan to pursue Parcels 1, 6, and 8 was developed, staff was fully informed on Councilman Messick’s wife’s ownership of Parcel 7. Because the plan did not include purchase of Parcel 7, and because Parcel 7 was not necessary for the goals being promoted by the plan recommended by city staff to the City Council, the city attorney concluded Councilman Messick was permitted to participate in the process without a conflict of interest. The city attorney researched opinions about purchasing parcels of land adjacent to those owned by council members or close relatives and concluded Councilman Messick would not be violating ethical standards if he participated in pursuing parcels 1, 6 and 8. This conclusion was based in part on opinions exploring whether an elected official voted on matters which were known to cause a special private gain or loss to the official. No special private gain or loss to Councilman Messick was known with regard to Parcels 1, 6 or 8 based on the city attorney’s research. The city attorney stated at all times Councilman Messick fully disclosed to city staff all pertinent facts. Throughout this time, Councilman Messick sought and followed the advice of the city attorney on these purchases. Councilman Messick abstained from all votes as to Parcel 7, which was not pursued by the council until October 2015, which was the result of a discussion between the city and Santa Rosa County about an alternate location for the courthouse in the downtown area. At this time, Parcel 7 is no longer being pursued because it is unlikely the alternate location of the courthouse is of interest to the county. The city currently has no plans to purchase Parcel 7.